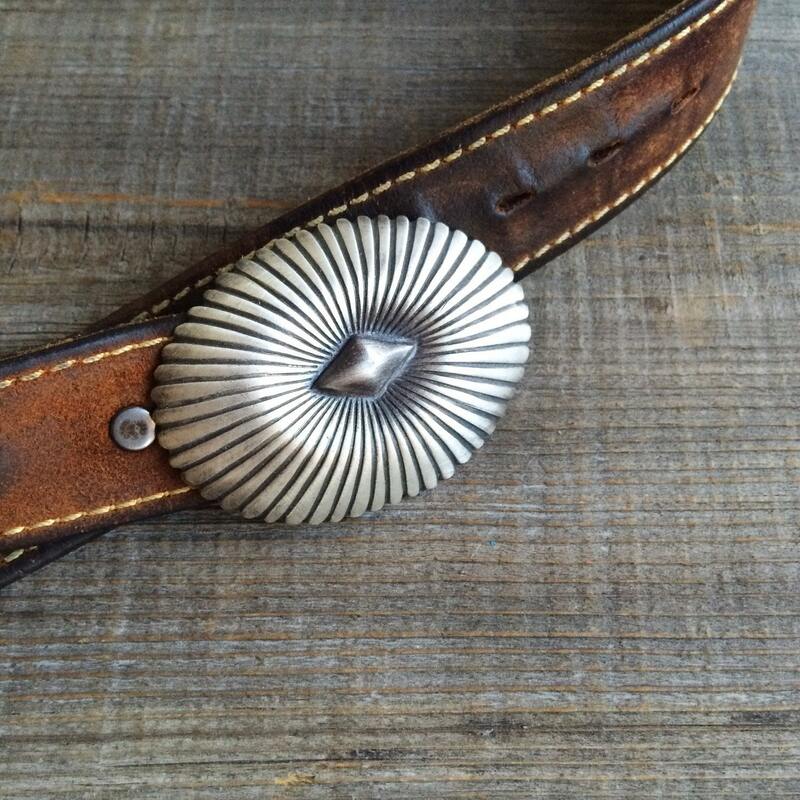 I've had this Native American belt buckle since the early 1980s, purchased from Sun Country Traders in Santa Fe, NM. 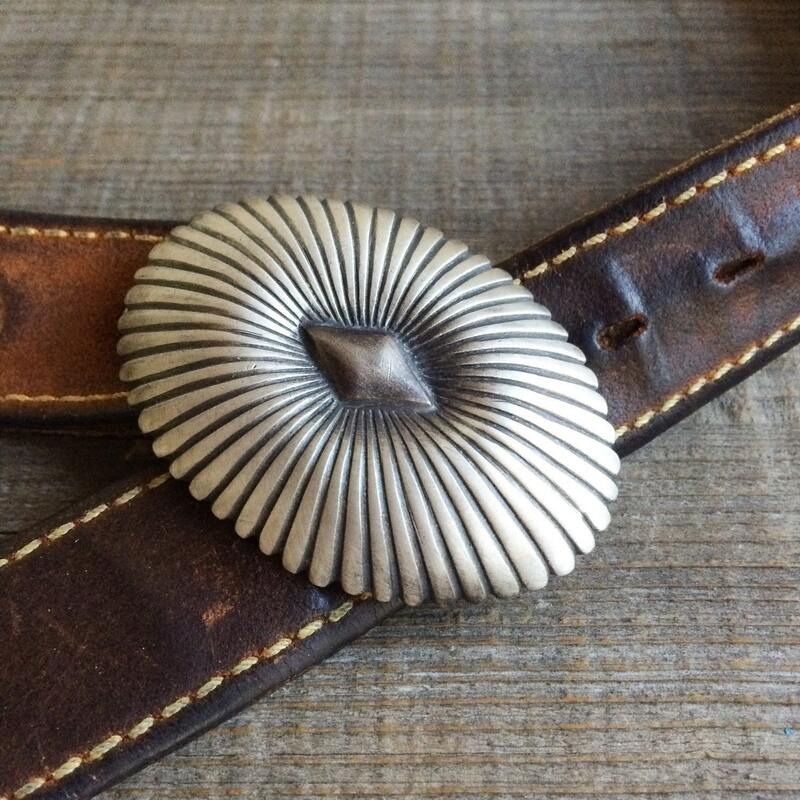 It is a sterling silver buckle that fits a 1-1/2" belt (belt pictured is not included--that is my belt and I wear it everyday!). 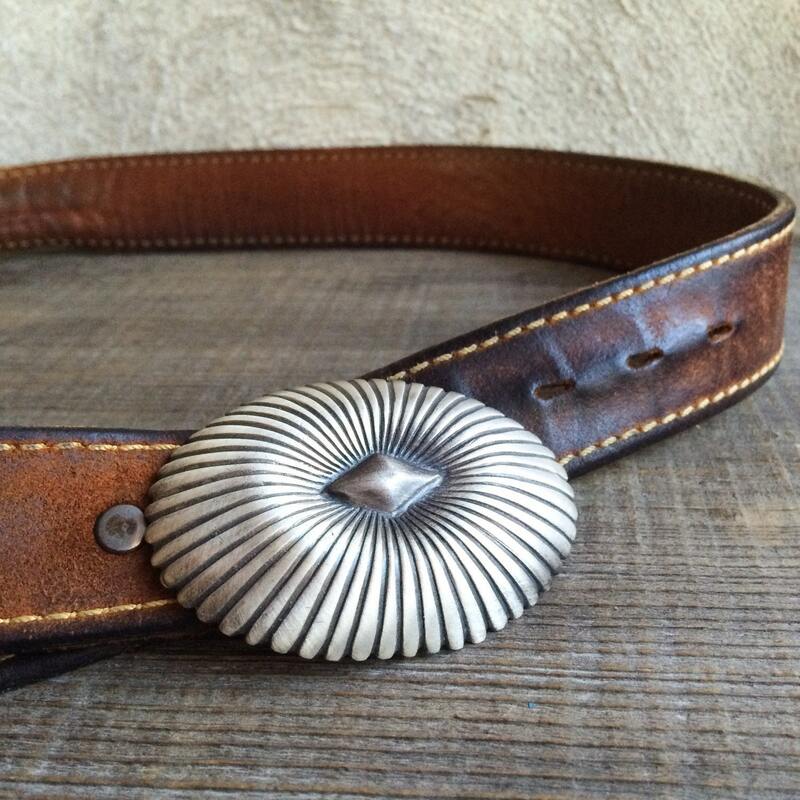 This is a unisex piece, and both my husband and I wore the belt buckle so much over the years that the hook broke off. I recently took this my jewelry guy, who cleaned off the old patina when he wiped off the chemical used in soldering on the new hook, and in its place used a brushed silver patina. It is unmarked yet in the style of the Navajo Kee family of silversmiths; however, we can't say with certainty that it is Native American. 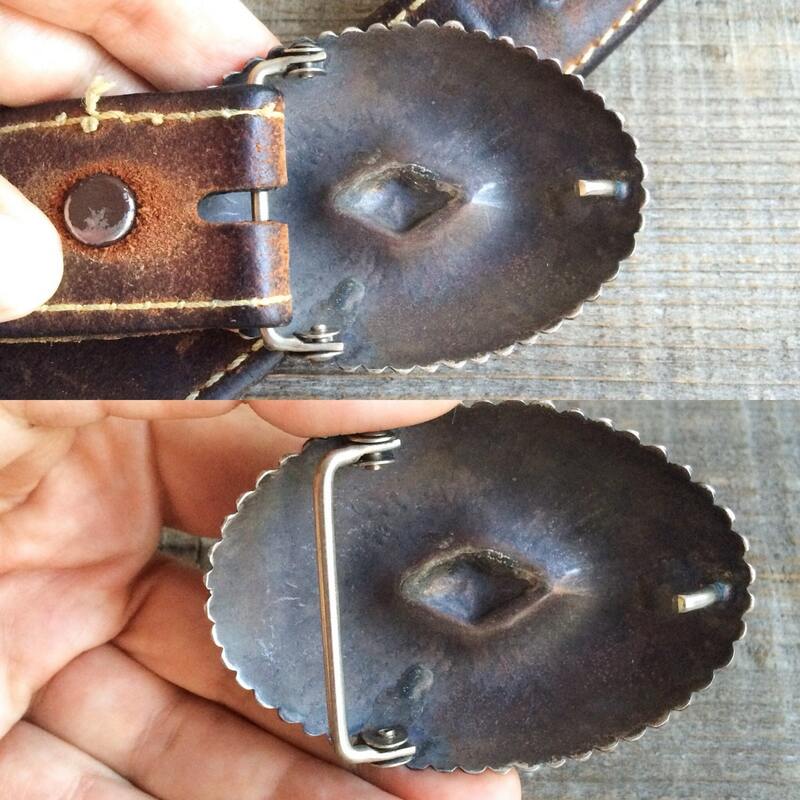 Measures 2-7/8" wide and about 2" inches long. In good vintage condition. 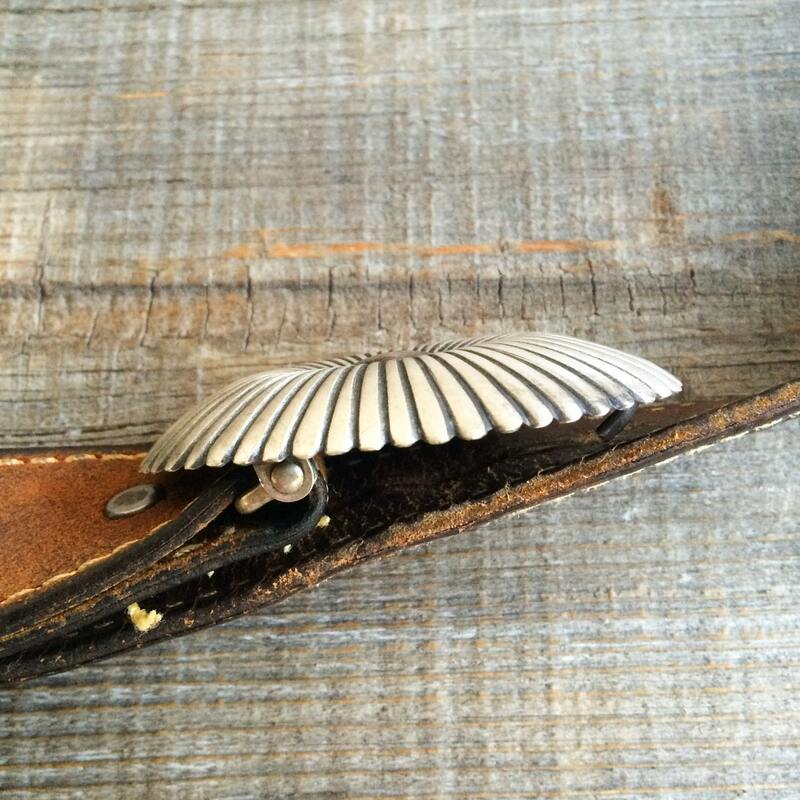 A striking yet everyday buckle--great on a broken-in leather belt and with jeans.